Bela Padilla And Zanjoe Marudo Dating Rumors? 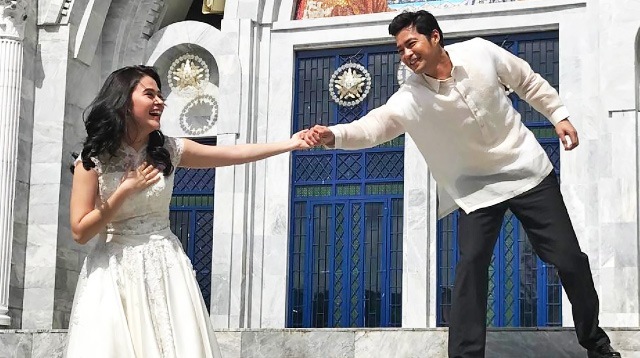 1 Former Dear Heart teleserye co-stars Bela Padilla and Zanjoe Marudo are in the middle of a dating rumor controversy. During her appearance on Tonight With Boy Abunda on August 7, Bela was grilled by the TV host with Zanjoe-related questions. Boy reported that in a separate interview, Zanjoe had said that he was single but not available, and insinuated that the actor wasn't open to dating other people because of Bela. Naturally, he asked the actress the same question. She hesitated to answer at first, but eventually gave in: "Honestly, tito Boy, kasi I don’t know if his [Zanjoe] statement pertains to me, so I don’t know. I’m not sure, I don’t wanna assume! Right now, I’m keeping myself not available. Ayoko kasi parang nakakahiya, parang ako ang nanliligaw. Nakakahiya! To be honest, I would like to keep myself not available because I want to give him a chance. But I’m not sure, so we’ll see." 3 If you've seen the Game of Thrones Season 7 Episode 4 "Spoils of War," stop reading because spoilers are coming! Daenerys Targaryen attacked Jamie Lannister’s fleet with a fire-breathing dragon! Fans loved the battle because it felt so real—flames, burning soldiers, injured horses, and ashes were all over the field. It's hard not to see and feel Jamie’s confusion and fear during the attack. 4 A photo of Robert Pattinson and Katy Perry having dinner at Sunset Tower Hotel’s Tower Bar has circulated online. Robert is engaged to FKA Twigs, and the leaked pic may have spiked nasty rumors that he was playing behind his fiancée’s back. 5 Pantene launched their newest endorser, Jasmine Curtis, during an event on August 8, 2017. The first Filipina Pantene ambassador in Asia and Cosmopolitan Philippines August cover girl Gabbi Garcia also graced the evening along with other beauty influencers Alodia Gosiengfiao and Camille Co. In the same event, the hair care brand also explained that hair fall is often caused by pollution, and Pinays should be conscious of this fact. But we need not worry about this anymore because we can rely on Pantene Hair Fall Control Shampoo and 3 Minute Miracle Conditioner to strengthen and nourish our tresses with every wash.